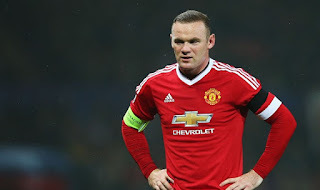 Wayne Rooney reveals the most annoying player Manchester United skipper Wayne Rooney has revealed the most annoying palyer that he has ever played with at Old Trafford. Manchester United skipper Wayne Rooney has revealed the most annoying player that he has ever played with at Old Trafford. The Englishman striker revealed that goalkeeper Anders Lindegaard is the most annoying player he has played with. Lindegaard just made 19 Premier League appearances for the Red Devils during his five years of stay. The Denmark international failed to impress the fans also several Man Untied bosses. He was signed in Sir Alex Ferguson’s era and then David Moyes took the role who also never gave regular chance to Lindegaard. While, he made 11 Premier League starts under Louis van Gaal before joining West Brom in the summer. Rooney revealed while giving an interview to Sport Magazine recently. The former Everton star had several other players he could have chosen from but selects the keeper. Rooney is happy currently as Lindegaard took the departure flight in the summer and is now a back up keeper at West Bromwich Albion. The 31-year-old is yet to feature for West Brom. He is still struggling to make an impact and could leave the club next summer for regular football.